This entry was posted on March 25, 2019 by Harrisons. Teamsterz is a fun and exciting range of toy vehicles that are perfect for retailers looking to increase their toy selection. From fire engines to Land Rovers to helicopters to trains, anything on wheels is made more fun with Teamsterz. The Teamsterz range of toy vehicles has everything from brand new interactive sets to classic 3-inch die-cast toy cars, with attention to detail and great design that appeals to children of all ages. With retailers always looking for the next best thing, the classic toy car remains a children's favourite. Few toys are as popular as cars, trains and aeroplanes, and their interactive appeal will continue to enthral children. Collecting toy cars has always been a lucrative hobby for retailers, and the Teamsterz range has all the classic toy vehicles that every child needs, such as sports cars, police cars, JCB diggers and caravans. Children who are always building and creating will love the incredible detail of Teamsterz's toys. From exciting police chases to planning out cities, toy vehicles allow kids to use their imagination and create new worlds to play in. The accurate and recognisable Teamsterz JCB Construction Seriesis perfect for children who are interested in construction toys, and the set even includes road signs! Teamsterz's toys are known for their attention to detail and great quality, allowing children to enjoy imaginative play for years. 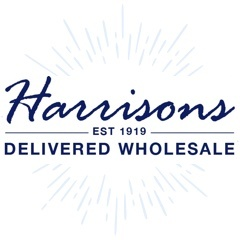 Retailers will also benefit from the diverse range of assorted toys available from Harrisons Direct. Everyone knows how picky children can be and the fact that Teamsterz toys come in so many varieties also allows children to get the thrill of collecting the whole range. Sets like the Teamsterz 5 piece street series assorted designs offer customers a wider variety of options, allowing siblings or friends to have different versions of the toy. With appealing packaging and bold designs, Teamsterz toys are perfect for grabbing children's attention on the shelves. The Teamsterz range of toys is incredibly lucrative for retailers, with great prices and trade discounts. Teamsterz are known for their enduringly popular pocket money cars that will sell in high volumes. They also have an amazing selection of larger ticket toys, which are perfect for birthday presents and special treats. Amazing, interactive toys like the Teamsterz Dino Track Set and the Teamsterz Light & Sound Rescue Helicopter are perfect for those last minute presents, which are so profitable for retailers.